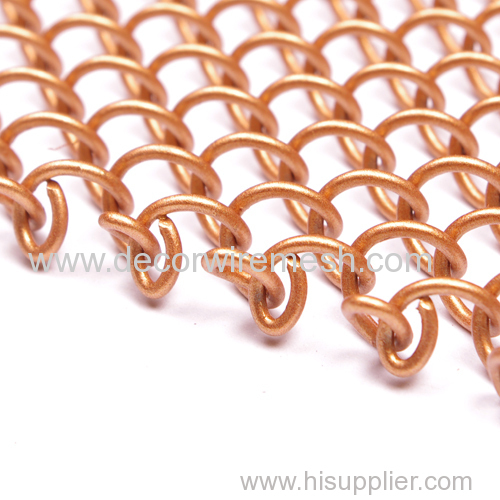 Gecho metal spring Mesh is a material that stirs the imagination of architects and designers. 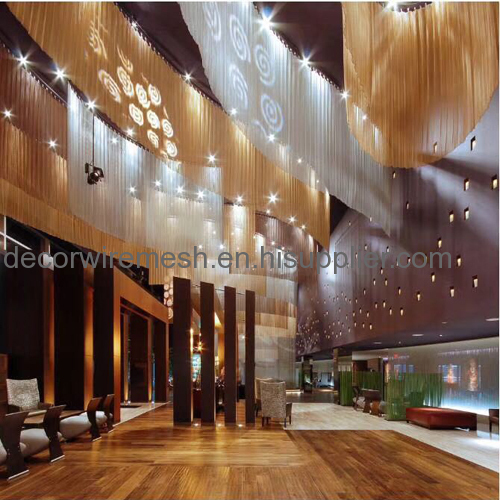 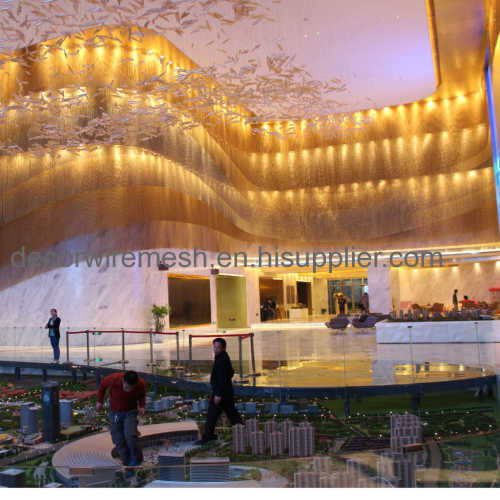 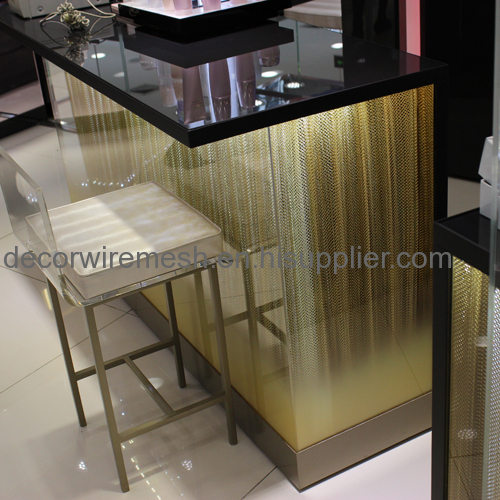 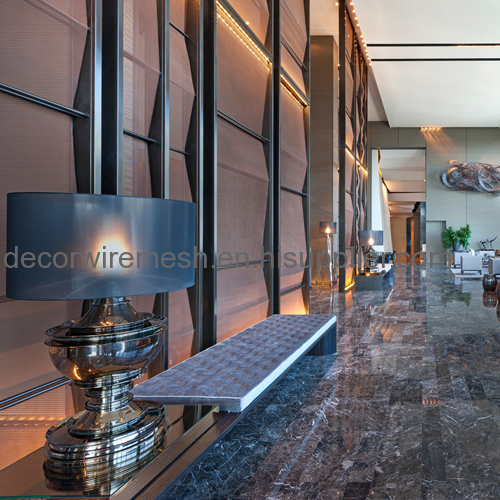 It provides color and texture, reacts beautifully to light, and is flexible and formable. 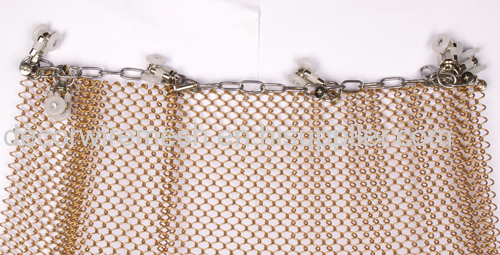 Simultaneously open and closed, panels ofmesh perform myriad functions in virtually any application and are available in unlimited lengths up to 40 feet inheight. 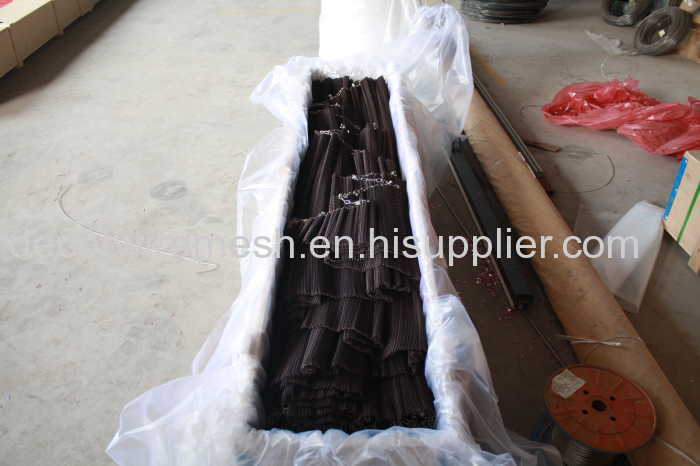 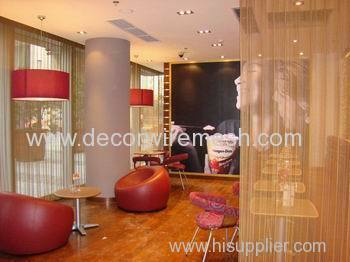 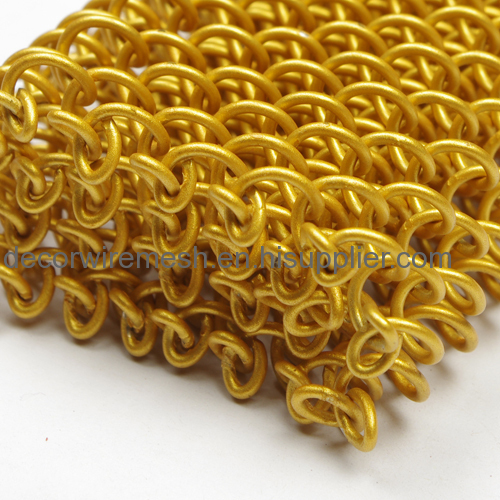 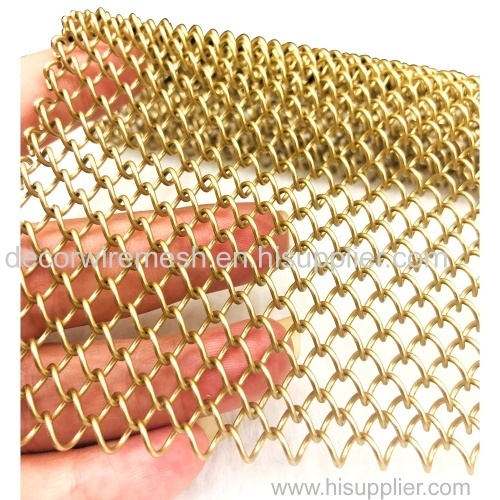 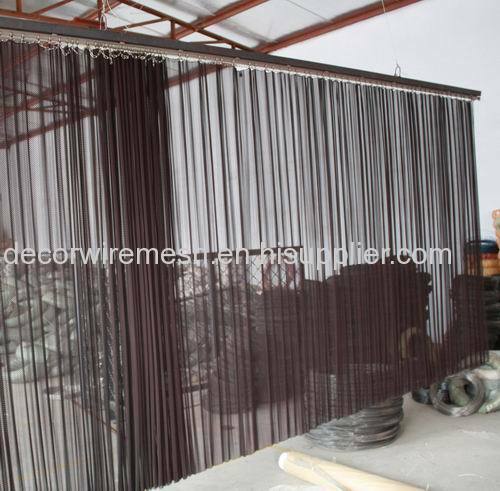 Its flexible round weave fabrics weave wire fabrics are catching the eyes of today's designers. 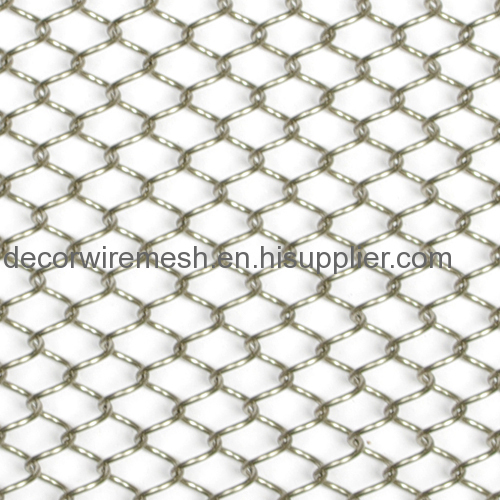 With its versatility, unique texture, variety of colors, durability and flexibility, ShuoLong link mesh is a long-term solution for today's modern style. 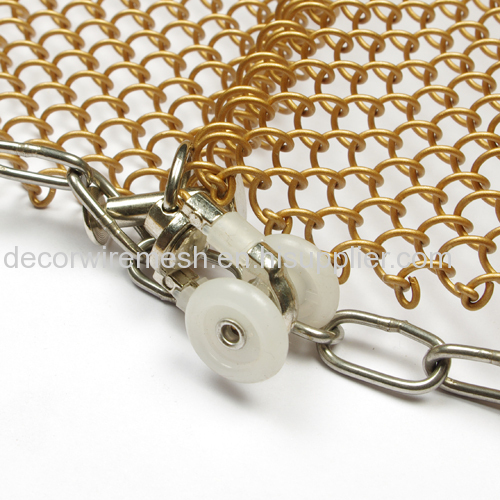 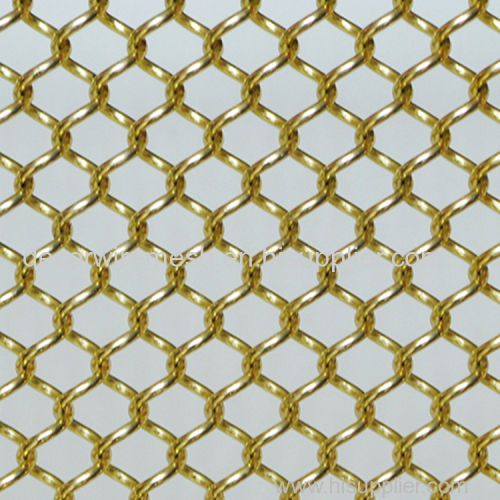 Compared to traditional woven metal mesh, Gecho link mesh gives you far greater design flexibility to meet your specific vision, functional requirements, and budget. 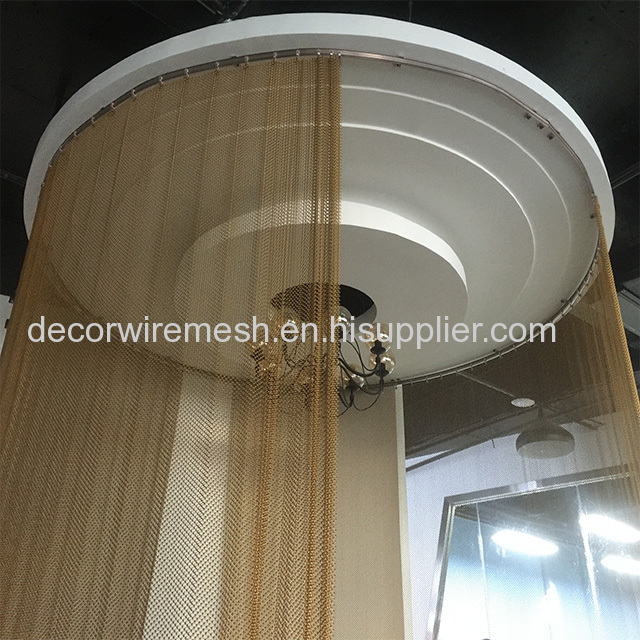 You choose the material, gauge, color, coating/finish, weave thickness, open area and engineered attachment system that meets your design requirements.